From the minute you arrive at Go Bounce Doncaster, your dedicated party host will welcome your birthday boy or girl and their friends, provide them with GO BOUNCE trampoline socks and a short safety briefing, before taking them for an hour’s use of the trampoline park, while you relax in our mezzanine café with a tea or coffee. 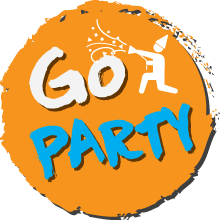 Following the exciting bounce session they’ll be taken to their own private party room, where you can join them for a delicious selection of party food, and unlimited cold drinks. The party room includes stylish party furniture and a cool atmosphere. Our standard 1 hour 30 party package starts at just £15.00 per person. We will be launching an exciting array of bolt-ons for your party package over the coming weeks, including professional photography to capture your special day and a selection of merchandise. Please ensure all guests arrive 15 minutes before the scheduled start time of your party and check in at our Admissions reception . Your party hosts will tend to guests and serve a selection of pizzas, burgers, hot dog.